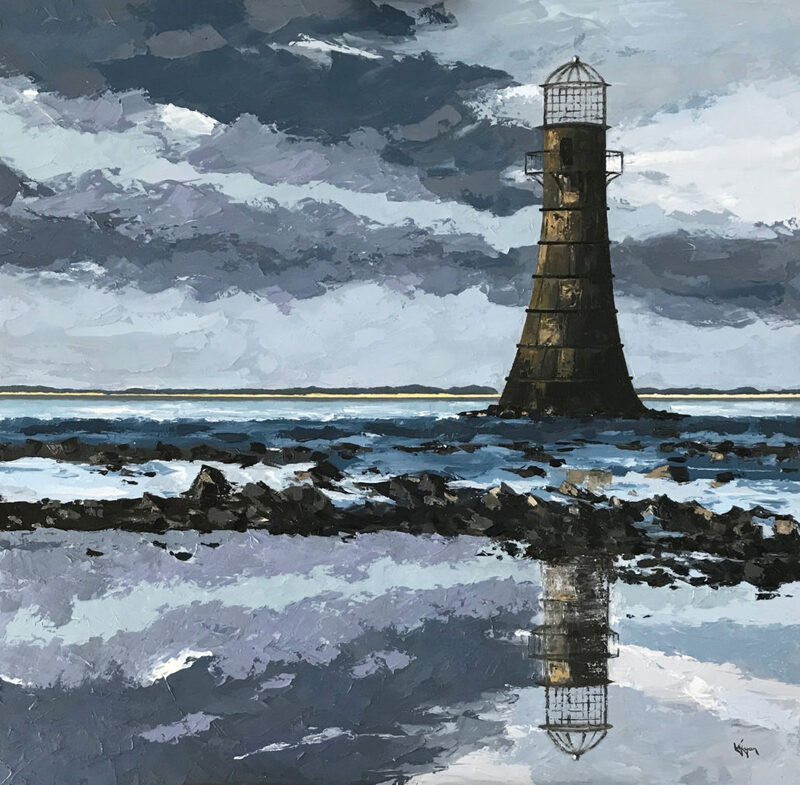 This painting of the Whiteford Lighthouse situated in the Burry Estuary, on the north west of the Gower Peninsula was a bit of a challenge to say the least. My palette knife technique had its limits in achieving the fine detail of the structure but with some patience and delicate approach, I managed to create the outcome I was looking for. I live in Machynys Bay and I am very fortunate to be able to view this iconic cast-iron lighthouse from my home and I see it as our ‘guardian’.